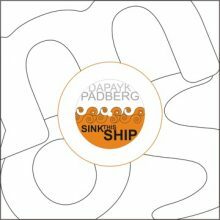 With “Smoke” (2013) Dapayk & Padberg moved to a listening oriented direction, that also works perfectly off the dance floor. And the new single „Sink This Ship“ follows the same path. Eva unfolds her matured voice, which shows more confidence than on previous records. Dapayk puts her voice in a scenery away from straight beats and with space for extravagances and inventiveness. However, this is not a radical change turning away from the club sound. Two of the most sought-after remixer artists at the moment, Robot Koch and Bebetta, ensure the suitability for the dance floor.